Most new puppy owners know that proper dog training is an essential part of raising a puppy. Many also agree that some sort of puppy training class is a good idea. Before you enroll, it's helpful to know what to look for in a good trainer and facility and what you should expect your puppy to be learning. A good puppy training class will be led by an experienced dog trainer. Often, classes take place at a dog training facility, but some are conducted in a pet supply store, veterinary office, or some other canine facility. Classes may be called "puppy kindergarten" or "puppy manners." Fees for these classes will vary, but you typically get what you pay for. Be sure to research the trainer before you sign up for a class. Make sure the trainer has experience and references. The facility should also be dog-safe and have plenty of open space to work. 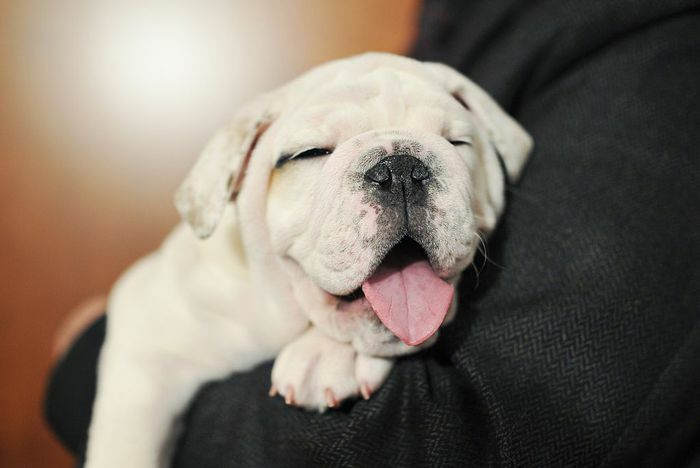 Most puppy courses are held once a week for about four to eight weeks. The trainer will usually focus on two or three things during each class. It's common for them to provide home training goals for you to work on between weekly classes. The ultimate goal of puppy classes is to set a good foundation for your dog's training and behavior in the future. Classes should cover the basics: socialization, house training tips, basic obedience, and general communication with your dog. Socialization is the most important part of any puppy training class. It refers to exposing puppies to as many new people, places, and situations as possible. The idea is that the more things a puppy is exposed to at a young age, the more accepting it will be of different people and experiences later in life. It's also less likely that your puppy will become fearful or aggressive. While it's important to work on other training with your puppy, socialization is what truly sets it on the path of a lifetime of good behavior. Working on socialization in a puppy training class is ideal. It allows you to work on introducing your puppy to people, dogs, and other new things while under the supervision of an experienced dog trainer. While most dog trainers believe socialization is the most important part of puppy training, most new puppy owners are concerned with housebreaking. Every puppy training class should provide you with information on house training and crate training. The dog trainer leading the class should be able to address any specific concerns you have about housebreaking as well. Puppy training classes should address some basic obedience commands. At the very least, you should learn how to train your puppy to sit, lie down, and walk on a loose leash. 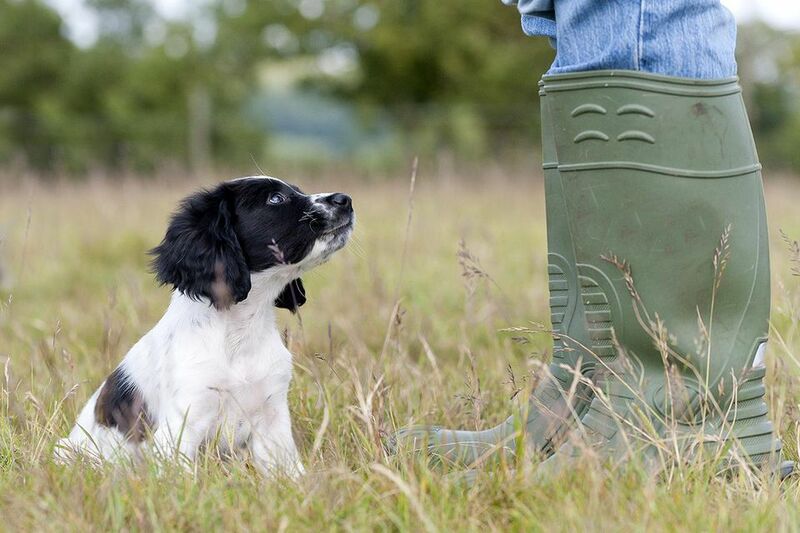 Some trainers focus on other important commands as well, during the puppy training course, such as come and stay. Puppy training classes should also cover the more common behavior problems faced by puppy owners. Puppies tend to chew, jump, and whine when left alone and good classes will address these to some degree. Be sure to tell trainers of any specific behavior problems you're having with your puppy, and ask about what problems they are having in class. One of the most important aspects of a puppy training class is that the trainer should address all of your questions and concerns. Dogs think and act differently than people do, and it may take you a while to understand your new puppy's behavior. A good dog trainer will spend time ensuring you have a better understanding of why your puppy behaves the way it does, and what you can do to change any unwanted behaviors. While learning how to train a puppy new commands is important, it should not be given more attention than socialization. If your dog trainer is only concerned with commands, you may want to find a new puppy class. One of the common mistakes new puppy owners make is thinking that training is done when puppy classes end. In reality, training a dog never stops; as a pup gets older it becomes more about reinforcing the lessons. Keep up with everything you learned during class and employ the lessons in your everyday life. Challenge your puppy often, take your new skills and add new commands or tricks to your puppy's repertoire, and continue to use the commands your puppy has already learned so it doesn't forget. Additionally, by the end of class, the trainer can help you decide what your dog can work on next if you're interested in going further. The trainer may recommend a next level training class or a specialized class to work on specifics. They can also advise you about getting your dog involved in activities like dog sports, animal-assisted therapy, or even a "job" for your dog. Tired of Saying "No" to Your Puppy? Try "Leave It"